The Eighties was a great time for a latchkey kid with access to your dad’s video club card. No-one gave a toss about ID, and the shelves of video rental stores were bulging with trashy horror flicks, with lurid poster art which was often far better than the movie inside. I always wanted to rent C.H.U.D, but was too chicken – it looked really scary to me, with a horrible deformed creature above the Manhattan skyline, and a steaming manhole cover in the foreground. The 21st century has been an era of horror largely defined by grisly spectacles such as Saw, Hostel and Human Centipede, ploughing misanthropic furrows at the more despairing end of the genre’s spectrum. Maybe this is no surprise – everyone’s world changed for the worst on 9/11, and in an uncertain time where the extremities of human cruelty receive more coverage than ever via the internet, the latest real life atrocity is only ever a click away. A lot of ink has been spilled about the Universal Monsters and their enduring legacy. 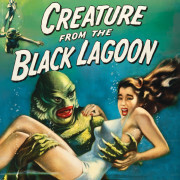 Creature from the Black Lagoon is no exception. Jack Arnold’s film is well over fifty years old and its popularity shows no sign of waning anytime soon. 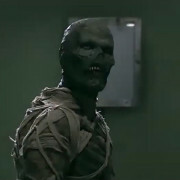 Like Dracula, Frankenstein, and the Wolfman before him, the Gill-Man remains popular with horror fans of all-ages. With it’s subtle sexual subtext, the movie has practically become a rite of passage for pre-teen horror fans as maturity looms. Yup, Oculus, the supernatural thriller released last year, might not be the kind of film that lingers in your mind, but it’s packed with moments to have you nervously checking the bathroom mirror-or, rather, just throwing out every mirror in your house, because those things can only cause trouble. 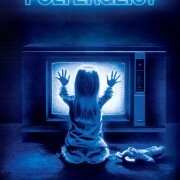 Poltergeist is like a funfair ghost train, whisking the viewer from one jabbering to the next, hardly allowing them time to catch their breath. 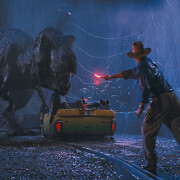 Produced and co-written by Steven Spielberg and directed by Texas Chainsaw Massacre helmer Tobe Hooper, the true authorship of the film remains subject of enduring debate. 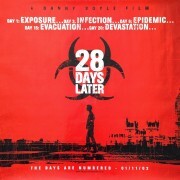 Widely credited as the movie that reinvigorated the Zombie genre, Danny Boyle’s “28 Days Later” is one of the all time classics and is an absolute must see. I want to make something very clear, right here in the first paragraph: I know Devil’s Due is a bad film. Dumped in January slot for films that studios know just aren’t going to do that well, it’s packed with plot holes, sloppy writing, dull direction, and just plain dumbness.